Paul Klee, « Am Nil », 1939. Peinture à la colle, papier marouflé sur jute. Each month, new works are added to the list of comments written by the MCBA’s curatorial team. Fine art, photography, design, textile arts: by their very nature, these artistic fields have reason to enter into dialogue. 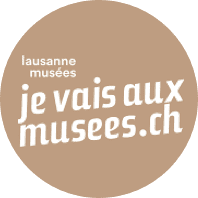 The union of MCBA, the Musée de l’Elysée and the mudac, complemented by the presence of the Toms Pauli and Félix Vallotton Foundations, will form PLATEFORME 10, a new “arts district” next to the Lausanne train station.